As you probably know, making a domain name famous is not a piece of cake. It takes time, efforts and money. But what happens if you want to re-platform? Do you just move to a new website, that’s under a new domain name, and loose all the results of your source store’s domain promotion? I bet that isn’t your most cherished dream. 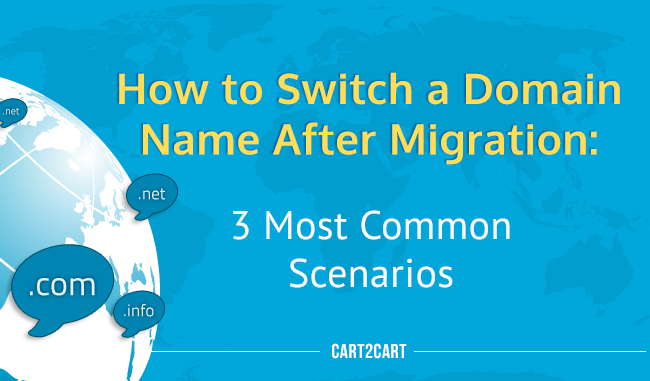 Naturally, you’d like to keep your old domain name, after migration. So, today, we’ll explain exactly how to do it. Before we get started let’s make a vocabulary check. DNS (Domain Name System) - A global web system that associates different information, typically IP numbers, with domain names. Thus, when you enter a website address into a browser, your computer knocks to DNS, gives it the letters you’ve typed and receives an IP address instead. Then, it connects you to the requested webpage. NS (Name Server) - A server that handles queries from your computer, about the location of domain name’s various services. 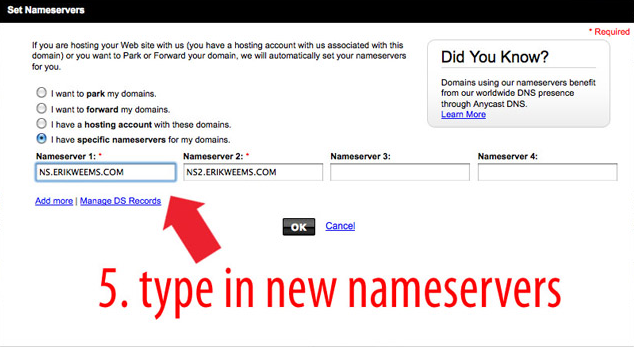 In most cases, websites have two name servers to which they’re pointed to. Now, lets get to the point. In most cases after migration e-merchants want to put their target stores under the same domain name their source stores used to be. But many of them fail to do it properly. Clients have both stores hosted by the same provider, under the same domain. However, target store is in the subdirectory. Clients have both stores hosted by the same provider, but each of them is under a different domain name. Clients have source and target stores hosted by different providers, under different domain names. So, let’s take a closer look into each of these cases. Both stores are hosted by the same provider, under the same domain name. However, target store is in the subdirectory. Congrats! Your new store is under the old, well-known domain name. Both stores are hosted by the same provider, but each of them is under a different domain name. If you want perform a domain name switch within the same hosting provider - log in to FTP and rename (to anything) your source store directory. Then, when the source store name is available again, entitle your target store folder with it. Deal’s closed. Source and Target stores are hosted by different providers, under different domains. Okay now, this one is slightly more complicated. When source and target websites are hosted by different providers - it is necessary to change the target domain name to the source one’s, first. Then, you’ll have to enter your source store’s domain’s settings, step to DNS management, and type in the new name servers from target’s hosting provider. Note: During the domain name switch, and for 24-72 hours after it, your target store will be offline. The information about old DNS, isn’t erased from your domain details. Solution: Edit your domain details so that they’re pointed to the DNS of your new hosting provider. Old hosting provider is still keeping your domain details in its DNS. Solution: Contact your hosting provider’s support team and ask them to remove the data. Domain changes are not spread among all DNS yet. Solution: It isn’t a click&done procedure, so you’re ought to be patient. However, if there are no positive shifts after 72 hours - contact your hosting provider’s support team and discuss the problem with them. The matter of domain name switching is quite popular and not easy to get a grasp on, if you’re not particularly tech-savvy. So, by presenting the aforementioned instructions, we hope to make this issue a bit clearer.